Mike DeLuca graduated from Virginia Polytechnic School and State University with a B.S. in electrical engineering and earned his juris doctorate at Nova University in south Florida. He currently manages the intellectual property portfolio for NextEra Energy including its subsidiary Florida Power & Light. In addition to his IP management duties, DeLuca is inspiring a new generation of inventors at NextEra, helping them to cultivate their own creative problem solving abilities related to large scale clean solar and wind power. DeLuca began his career as an electrical engineer at Motorola, Inc. where he developed groundbreaking technologies for nearly twenty years. He then went on to invent for numerous assignees including SiriusXM, Google, BlackBerry, Interoperable Technologies, Vuzix, and PhotoNation. 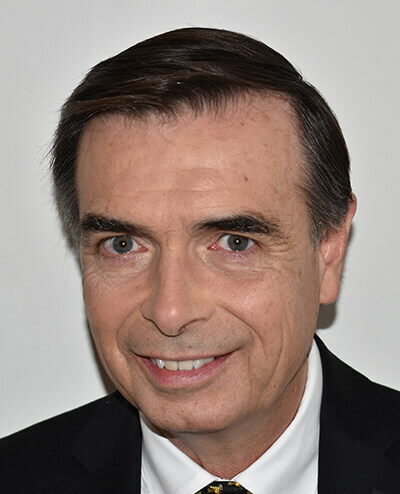 In 1997, DeLuca founded IdeoCo, Inc. to develop and manage his personal inventions including virtual reality, digital camera, flexible display, advanced acoustic, and automotive technologies. Inducted into the Florida Inventors Hall of Fame in 2017.